Iconic beauty brand, LUX, and celebrated jewellery designer, Jenna Clifford, have collaborated to create a limited edition range of LUX-inspired jewellery pieces, which are a celebration of woman. Fine design and a passion for quality craftsmanship are just two of the things that LUX and iconic jewellery designer, Jenna Clifford, have in common. They also share a love for opulence, classic beauty and a desire of make women feel their most beautiful. As a world-renowned designer, famous for her custom-creations, Jenna’s bold and dramatic designs are desired and sought after by some of the most glamorous and recognised icons and celebrities. Wearing a bespoke Jenna Clifford piece not only adds beauty to a woman’s look but also has the power to create a bold feeling of success. Similarly, the LUX fragrances enhance feelings of confidence, beauty and opulence. Both Jenna and LUX are also inspired by rose petals, lilies, and florals. What is most exciting about this collaboration is the shared passion that LUX and Jenna have for female empowerment. Jenna has partnered with two promising young jewellery designers, Mbali Thabethe and Nomonde Zwane. These ladies have helped to create the limited edition range by drawing on their personal stories and using the inspiration of fragrance in their lives to guide their creative process. These two avid designers, currently working to achieve success within the design industry, were assisted and coached by Jenna Clifford through the design process, providing them with invaluable experience and providing LUX with beautiful pieces inspired their rich and diverse backgrounds. The campaign has brought on two glamorous and beautiful women who embody the LUX brand values as the campaign ambassadors; Pearl Modiadie and Dudu Khoza. These sparkling and bold women will be giving the pieces away on their respective radio shows. Having focused on making the dream of beauty accessible to all women since 1925, LUX stands firmly behind the belief that every women deserves to look and feel beautiful, cherished and confident. 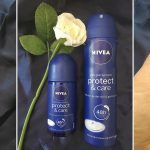 Composed by the world’s best perfumers, the trusted beauty treats are infused with floral inspired fine fragrances to leave your skin smelling, looking and feeling alluring. These pieces are the embodiment of the LUX vision and a visual representation of the LUX floral inspiration; a range of bespoke pieces inspired by fine floral fragrance and real perfume. 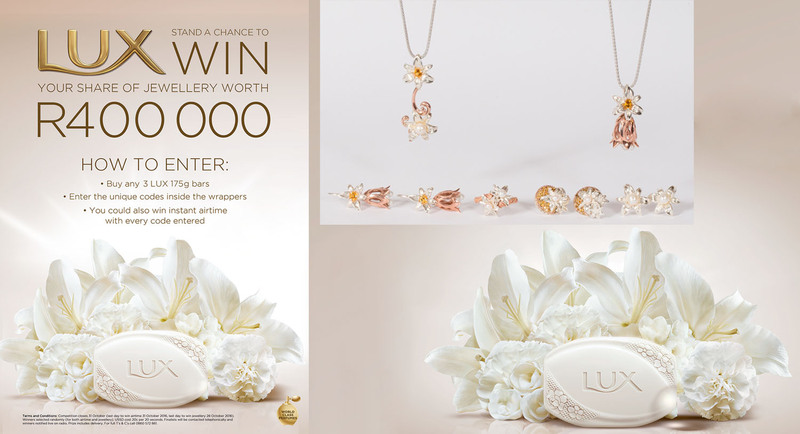 The pieces are worth R400 000 in total and can ONLY be won by entering the current LUX competition. Every woman stands the chance to win one of these limited edition LUX-inspired Jenna Clifford jewellery pieces. To enter, simply buy any three, 175 gram LUX soap bars, discover the unique code hidden inside the wrapper, SMS the codes and follow the instructions on screen. Every unique code entered also enters you into the draw to win your share of R500 000 worth of airtime. A third unique entry puts you into the draw to win one of these opulent, exclusive pieces. The competition opened on the 1 September in celebration of Spring and closes on 31 October 2016. Find out more online at www.houseoflux.co.za. *LUX provided me with images and content, but it was my choice to publish it.